The most popular game in the world is doing away with blind chance loot boxes. 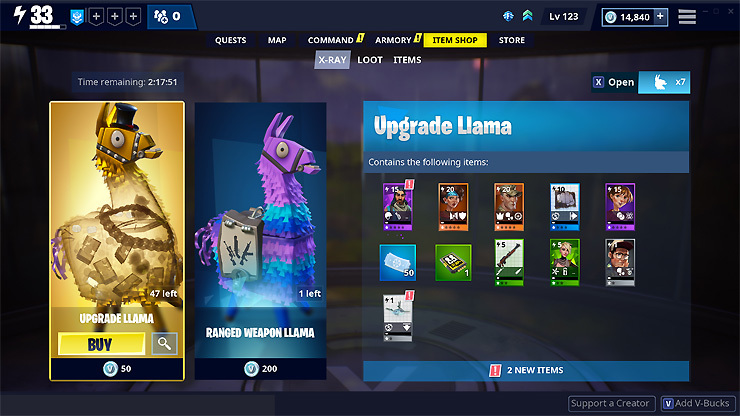 While Fortnite Battle Royale uses a Battle Pass system for distributing its cosmetics, the original Save the World version of the game has continued to do the loot box thing, selling “Upgrade Llamas” for between 100 and 1500 V-Bucks (around $15). 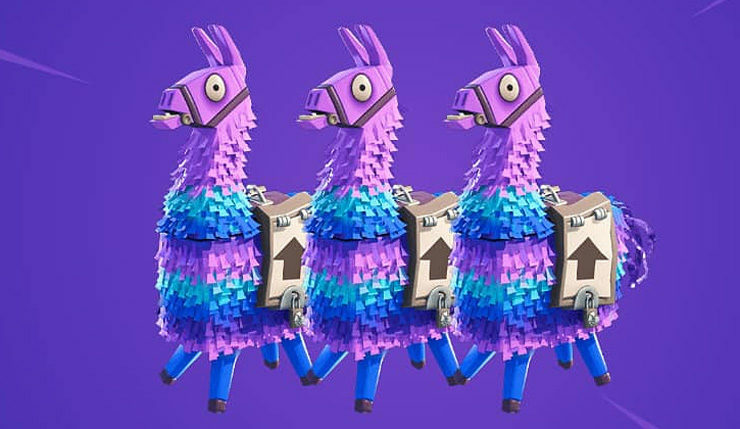 Well, the Llamas aren’t going away, but the blind aspect of them is, as you’ll soon be able to see everything contained in them before you purchase them. We believe it’s important that the Llamas you buy have what you want, and that you can earn awesome items just for logging in and playing Since launch, we’ve been refining the way you expand your item collection. We previously introduced loot drops, the ability to directly acquire any non-event item through the Collection Book, Llama dupe prevention, as well as gameplay-based event rewards, and now we’re ready to take the next big step. Introducing “X-Ray” Llamas! Previously known as V-Buck Llamas, X-Ray Llamas will now show you the contents before you purchase it. Not interested in what the Llama offers? Simply wait until the daily store refresh and there will be a new selection. Epic is perhaps the most influential developer in the industry right now, so hopefully this is the beginning of the end of the blind loot box concept. As long as you can see what’s in a loot box before you buy it, I really have no issue with the concept, so hopefully other developers will follow Epic’s lead on this. Fortnite is available now on PC, Xbox One, PS4, Nintendo Switch, and mobile platforms. X-ray Llamas are set to be introduced in update v7.30, which should drop next week.